Known for its high-quality minting, U.S.-based Atlantis Mint has created the 1 oz Atlantis Skull and Crossbones Poured Silver Bars. These bars feature hand poured silver with an eye-catching design that is a standout among other poured bars. 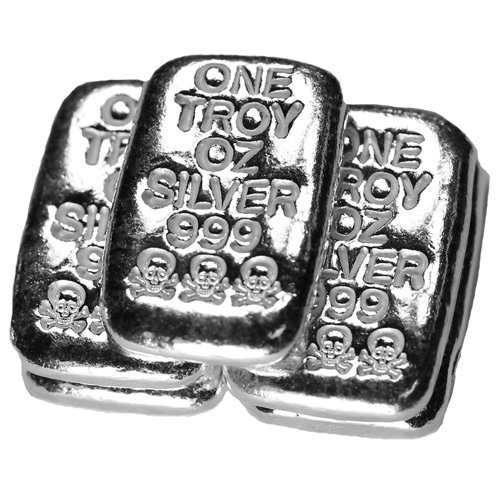 Silver.com offers these bars in brand new condition with each having been minted in one troy ounce of .999 silver. Minted at Atlantis Mint in the USA. Hand-poured bars have a rustic appearance. Design features three skull and crossbones images. With its distinctively hand-poured lettering, these bars boast three sets of skull and crossbones that make for a most unusual design. On the front of the bar, each letter looks as though it has been hand carved. 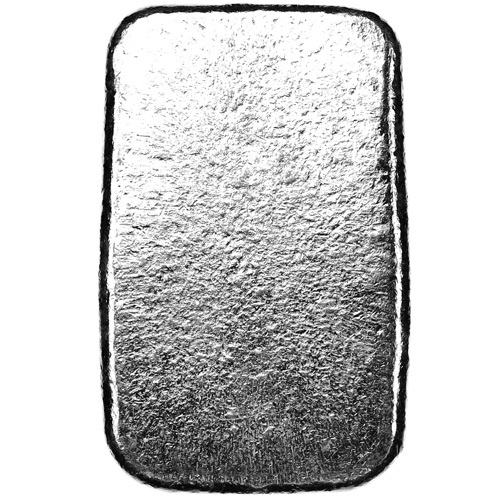 The weight of the bar and its purity have been stamped onto each bar. 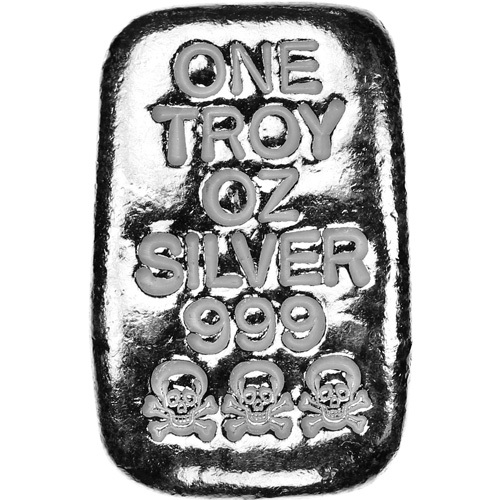 This information is spelled out as “ONE TROY OZ SILVER 999” with the three skull and crossbones images stamped directly underneath. The back of the bar has intentionally left blank by Atlantis. If you are looking for a unique hand-poured design to add to your collection, these Atlantis bars will not disappoint. 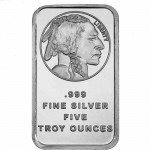 Silver.com will ship these bars within generally 3 days of cleared payment. All packages are mailed fully insured to protect our customers. Should a package go astray or become damaged while on its way to you, it will be fully covered. Also, please note that since we receive our products straight from the Atlantis Mint, customers can be assured of their authenticity and described quality. 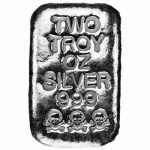 Contact Silver.com at 888-989-7223 to order your 1 oz Atlantis Skull and Crossbones Poured Silver Bars or any of our other precious silver bullion products. You can also contact us with questions through email or our live chat feature. 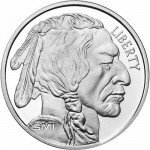 Atlantis Mint has many creative hand-poured designs that make excellent additions to any collection of silver.